“We are sending an armada. Very powerful. We have submarines. 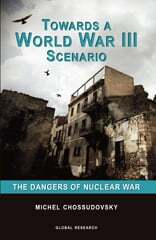 Very powerful” suggesting that North Korea could be obliterated at any moment. Of course the U.S. Navy Admirals with the rest of the world saw this statement as what it was, just as a prank! Independent on April 19, 2017, informed its readers that “‘Armada’ Trump claimed was deployed to North Korea actually heading to Australia”! But the Prankster-in-Chief still believes that his prank was a major factor for the current peace initiative and Inter-Korea Summit. On Sunday night (April 29) during his staged rally in Michigan, in regard to North Korea, he told his loyal supporters that one of the “fake news groups” is asking “What do you think President Trump had to do with it? I’ll tell you what. Like, how about everything?” Of course, this boasting about Korea was confirmed when the enthusiastic audience suddenly burst and shouted, “Nobel, Nobel”. “That’s very nice, thank you” said President. However, yesterday (April 30th) the news about Korea was overshadowed by another prankster, Prime Minister Netanyahu. Through a bizarre presentation, “Bibi” nervously showcased a few images and slides on a big screen and unveiled file and CD cabinets to prove that “Iran Lied”! He spoke in English at the Defense Ministry in Tel Aviv, so the corporate media in the U.S. could broadcast his message directly to the American public. But Mr. Netanyahu’s argument about the “secret” Iranian nuclear program was so poor that even the Israeli friendly U.S. media respectfully saw it as a “nothing burger”! Instead, most “pundits” were fascinated by the Israeli intelligence capability and Mossad’s spies who successfully could smuggle 10,000 secret files out of well guarded Iranian underground vaults! But this shenanigan was only a distraction. Mr. Netanyahu’s political life depends on a chaotic Middle East and foremost a military confrontation with Iran. Today, Mr. Netanyahu is the most dangerous man in the world which enjoys Mr. Trump’s complete support. In this regard Mr. Pompeo -right after his confirmation as the Secretary of State – wasted no time in his first tour, to line up the Arab “allies” for a bloody war with Iran. The U.S./Israel have already demonstrated that they have no respect for the international laws and are dismissing all resolutions and statements that have been issued over Iran nuclear deal by the UN, EU, IAEA (International Atomic Energy Agency) and JCPOA (Joint Comprehensive Plan of Action – an international agreement on the nuclear program of Iran). In other words, those who are more lethal (by the law of jungle) shall rule the Middle East! The last Bombardments by Israeli Air Force targeting the Iranian bases in Syria, which was “registered as a literal earthquake” is very alarming. If this is true, then the question is, are they already using the “mini nuclear bombs”? There is an arbitrary deadline that is set for May 12 for President Trump to “Nix or Fix the Iran deal”. Peace activists should raise their voices more than ever and demand for a period of reconciliation to ease down the unnecessary anxiety about imaginary threats from Iran. No more war in the Middle East! 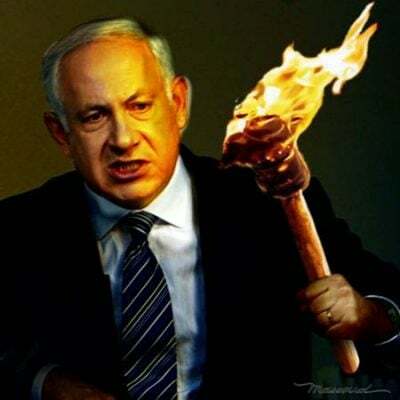 Stop Netanyahu Now!